Burnet CISD is pleased to announce Rachel Jones has been named Assistant Superintendent of Curriculum and Instruction for Burnet CISD. 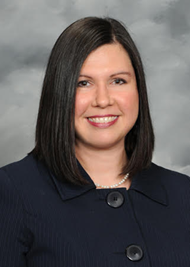 Jones has served as the Director of Curriculum and Instruction and the Executive Director of Secondary Learning for Red Oak ISD since 2012. Prior to her work in Red Oak ISD, Jones served as Instructional Coordinator and Director of Curriculum and Instruction for Cedar Hill ISD. “We are excited to have someone with Rachel’s background and experience joining our team to lead our efforts in supporting teaching and learning,” said Superintendent Keith McBurnett. “Rachel is a proven leader who provides support through joyful, servant leadership.” Jones and her husband have two school-age daughters, and they are looking forward to calling the Burnet community home. Jones’ first day with the District will be April 15.